Can Patrick Terer keep his second promise to the organisers of the Volkswagen Prague Marathon? The relationship between the prestigious marathon and the Kenyan goes back to 2013. The organisers were able to bring the athlete to Prague after he’d had problems acquiring a visa, leading to the Kenyan only arriving in the Czech capital at late notice. Despite an exhausting journey, Terer ran strongly and finished third with a personal best of 2:10:10. “Many thanks to the organisers for bringing me to Prague. Next year I’ll come back and win,” said the Kenyan at the post-race press conference. That’s why Patrick Terer will be running the Volkswagen Prague Marathon for the third time on May 3 – this time as defending champion and wearing start number 1. The 24-year-old has won a race over the classic distance ever since his first marathon in 2012: three years ago he triumphed on his debut in Turin with 2:10:34. In 2013 he won Turin again, improving his time to 2:08:52 and in 2014 he won in Prague. 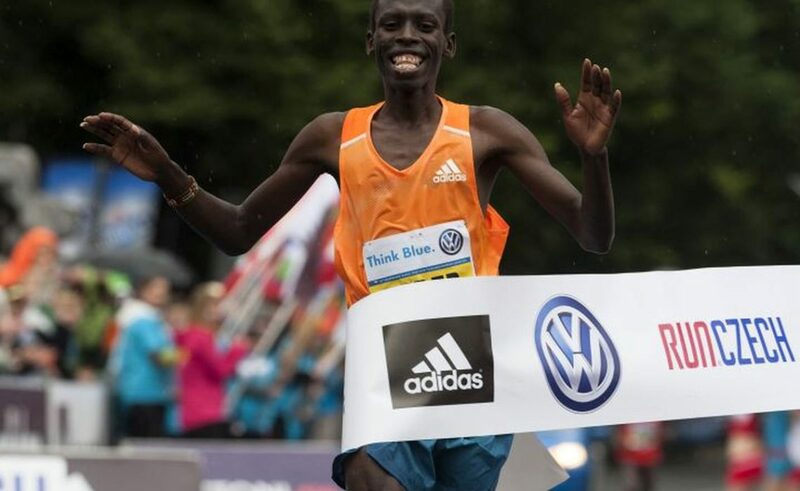 If he succeeds in winning once more in Prague and keeping his promise once again, he’ll be making a name for himself in the country of the legendary long distance runner Emil Zatopek, who was the inspiration for the founding of the Volkswagen Prague Marathon. However, retaining the title will not be easy for Patrick Terer because the IAAF Gold Label race in Prague has a top class field. Among his rivals on May 3 will be a runner who has also been highly successful in Prague: Peter Kirui. The Kenyan won the Sportisimo Prague Half Marathon last year with a world class time of 59:22. A few weeks later he returned to Prague and did an excellent job as pacemaker for the Volkswagen Prague Marathon, setting the tempo for Patrick Terer and the other top runners until shortly after 30 km. 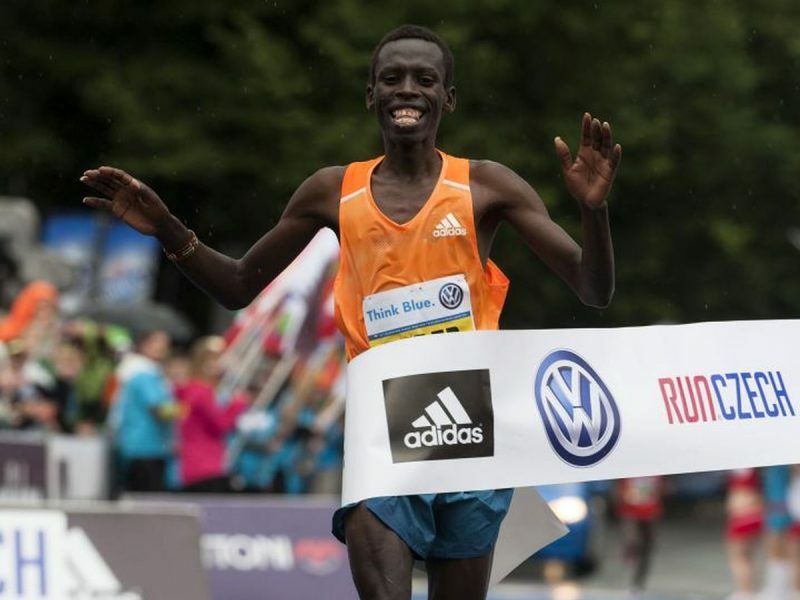 Thanks to that, the 27-year-old already knows the course of the Volkswagen Prague Marathon very well – and his best time for the marathon is considerably faster than Terer’s: in 2011 he ran 2:06:31 for sixth place in Frankfurt. Another Kenyan who could play a major role is Evans Chebet. The 26-year-old was second in the marathon last year, improving his best time by over three minutes to 2:08:17. He went even better than that in the Seoul Marathon in the autumn, running 2:07:46 for second place. However, it’s a runner from Ethiopia who can claim the distinction of having the fastest personal best among Prague’s elite field. Deribe Robi improved his time by more than a minute in Dubai this year to 2:06:06. That performance earned the 30-year-old a third place in the top quality marathon in the desert Emirate. Another strong Ethiopian is Teferi Kebede who ran his best time of 2:07:35 in the Tiberias Marathon in Israel in 2012. The women’s competition has the makings of an all-Ethiopian contest. The organisers have announced the participation of three fast Ethiopian women who have already shown high quality form this year and run personal bests. Yebrgual Melese will arrive in Prague as the Houston Marathon champion from January, bringing her best time down to 2:23:23 with victory in the USA. A short time ago she was second in the Sportisimo Prague Half Marathon with a fine 68:21. Tadelech Bekele ran even faster in Dubai in the same month with 2:22:51 which earned her seventh place in a race of great strength in depth. She has already won two RunCzech races: First she took the Mattoni Ceske Budejovice Half Marathon in 2012 with a course record of 70:54 that still stands; Then she won the Birell Prague Grand Prix 5 km in the same year. Ashete Bekere, who improved to 2:23:43 and took tenth place in Dubai this January, already knows the Volkswagen Prague Marathon. She was third last year with a time of 2:28:04.